America's favorite vegetable is actually a fruit and it is our subject today with an updated entry for our Dirt Doctor library. It's actually a fairly easy-to-grow food crop in general and our recommended varieties are shown below, but for the very easiest choices of all, try the Cherry tomatoes, Sungold, Juliet and the Wild Current tomatoes. PLANTING DATES: For transplants use the following schedule: Plant after all danger of frost in the spring and 12 - 14 weeks before the first average frost in the fall. HARVEST TIME: Harvest in summer when the fruit starts to ripen and turn red, usually 55 - 90 days after planting. Picking the fruit as the color first starts to change will help prevent birds, squirrels and other critters from eating the fruit before you get it. 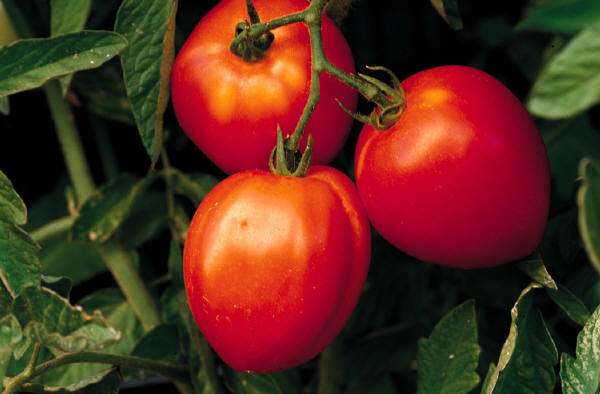 CULTURE: Plant tomatoes in well-prepared soil with lots of compost, lava sand, rock phosphate and organic fertilizer. In sandy soil, add high-calcium lime. In alkaline soil, add greensand. It’s also a good idea to add fish meal or cottonseed meal and alfalfa meal. For maintenance ease and increased production, use metal cages. 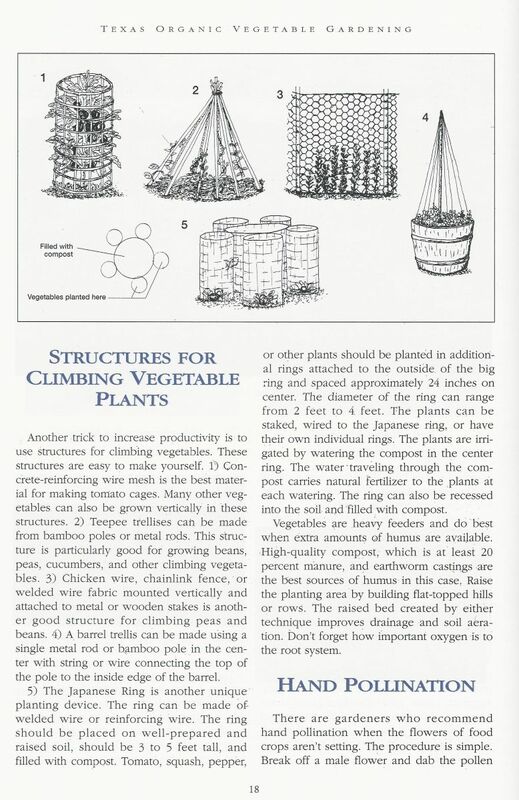 Concrete reinforcing wire mesh makes excellent cages for tomatoes and other vegetables. 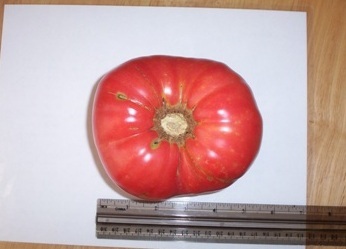 Fertilize three times per growing season because tomatoes are heavy feeders but wait for the first major feeding until after small fruit has set and started to grow. Heavy fertilizer applications too early can cause lots of stems and foliage but little fruit. Flowers on many varieties will not set in temperatures below 55° or over 92°. Try adding a handful of Epsom salts under new transplants to increase fruit production. Zeolite and soft rock phosphate also can be used this way. A good nitrogen fertilizer is corn gluten meal. It not only adds nutrients, it also keeps weed seed from getting established. 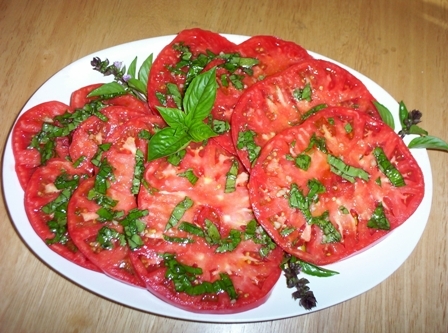 Alfalfa is also an excellent fertilizer for tomatoes. Use blends that contain alfalfa, alfalfa meal or rabbit pellets if they are pure alfalfa. 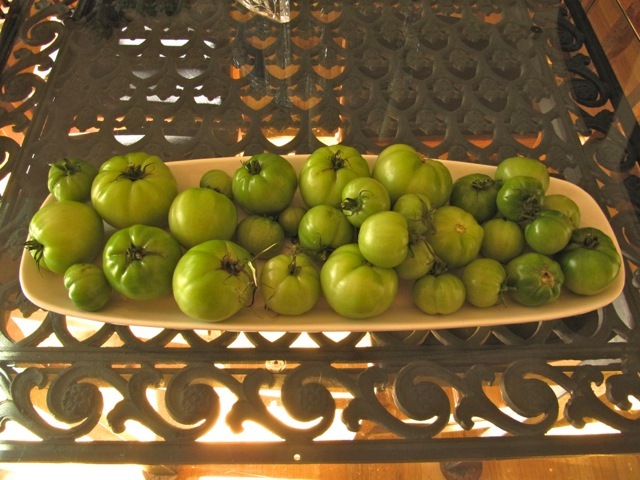 TROUBLES AND SOLUTIONS: Southern blight (which is usually misdiagnosed as early blight) is the most common tomato pest. It can be limited with weekly sprayings of Garrett Juice plus garlic and potassium bicarbonate, hydrogen peroxide, cornmeal tea or the commercial product BioSafe. Use lots of compost and mulch to prevent tomato pinworm. Eliminate blossom-end rot with even soil moisture and calcium supplements: soft rock phosphate and alfalfa products in alkaline soils, high-calcium lime in acid, sandy soils. Epsom salt applications can also help. Red Christmas tree ornaments hung on plants before the fruit starts to ripen will repel birds. Aphids, spider mites, and flea hoppers are controlled with Garrett Juice and essential oil sprays. Hand remove hornworms and treat for all diseases by applying cornmeal to the soil and spraying hydrogen peroxide products such as BioSafe. 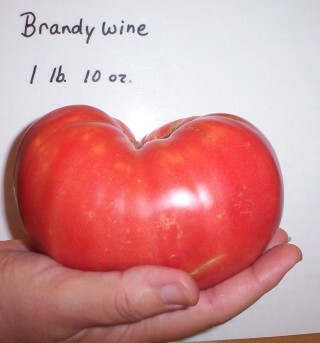 NOTES: Fall tomatoes taste better but are harder to find. Faster production in the season comes from the use of water walls or floating row cover around the cages. Another increased production trick is to buy 2 ¼ inch transplants early and pot them in 4 inch pots. After they grow and the root system fills the pots, move them to 1 gallon pots. 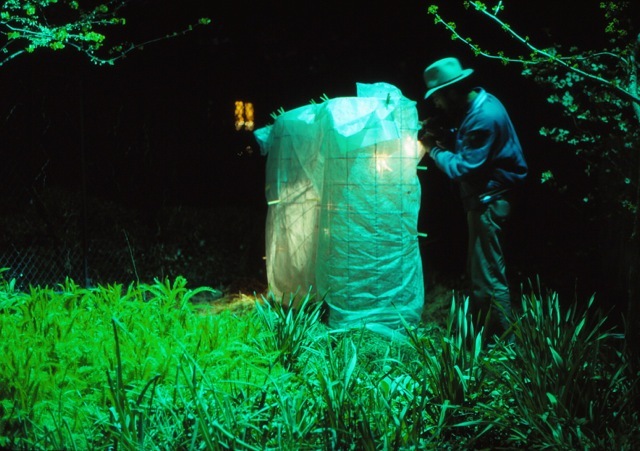 Move the plants out into the sun on warm days and back into protection on cold days and nights. When all danger of frost is gone, plant the gallon plants in the garden. You'll be amazed at how early and prolific fruit production will be. VARIETIES: Some of our favorites for North Texas include 'Celebrity', 'Carnival', 'Salsa', 'SuperFantastic', 'Better Boy', 'Porter', 'Viva Italia', 'Jackpot', 'Roma', 'Brandywine', 'Yellow pear', 'Arkansas Traveler', 'Costaluto', 'Riesentraube', 'Black Krin', 'Pineapple' and 'Supersonic'. Others may be better for the rest of the country.